This is a sponsored conversation written by me on behalf of Banana Boat® and OFF!®. The opinions and text are all mine. Hey Lovelies! 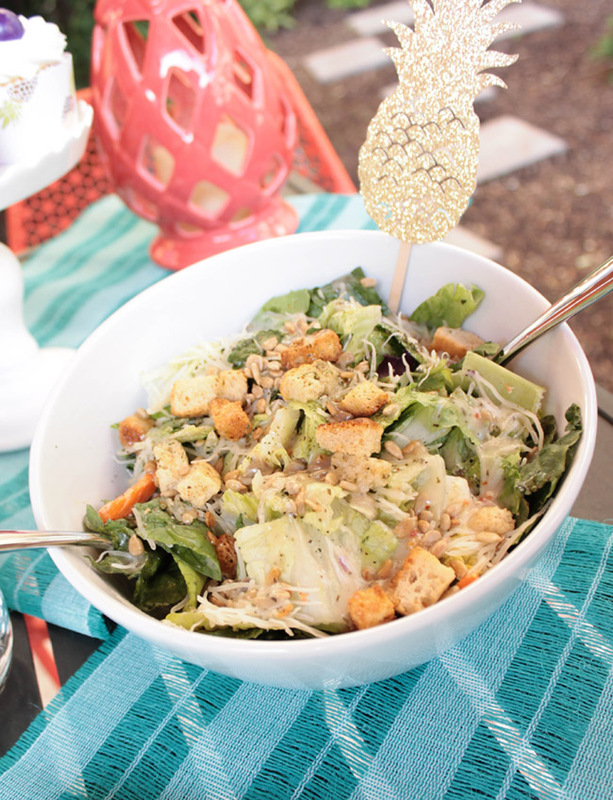 We are super excited summer is finally here! 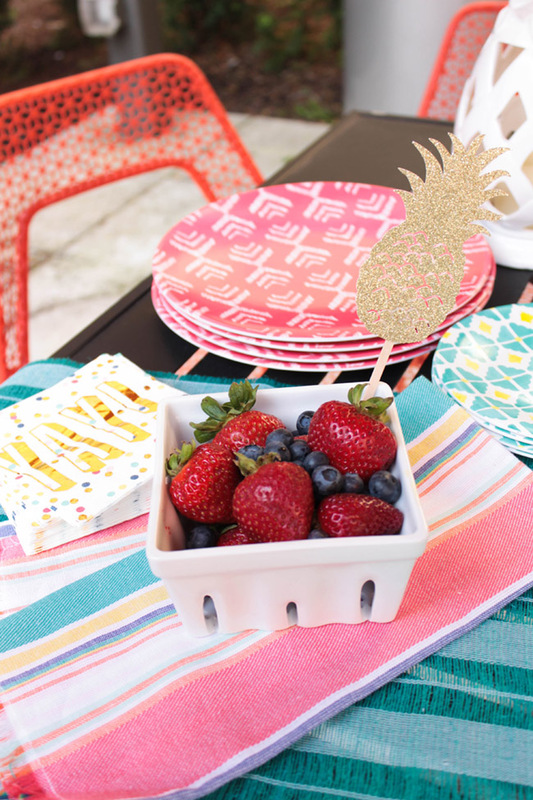 Longer days means longer time with friends and family and more fun in the sun! 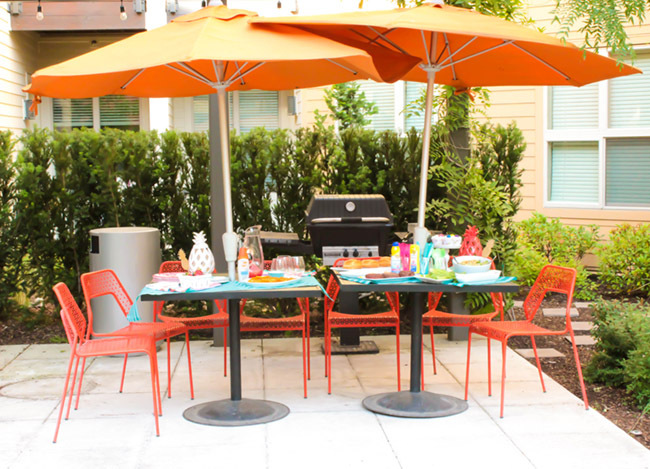 We love backyard entertaining. There is just something about getting together, lounging in the sun, splashing in the pool, playing games in the grass and BBQing that we just love. And there is nothing better than biting into a big juicy hamburger and some french fries on a hot summer day. 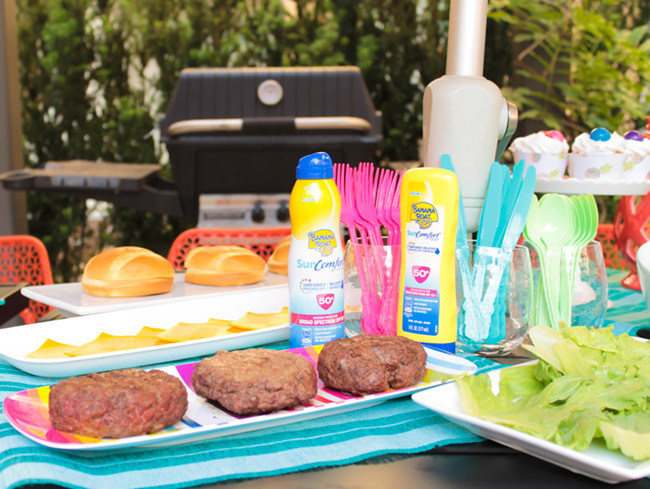 Burgers to us just scream summer is here and we always include them in any summer BBQ because they can’t be beat! 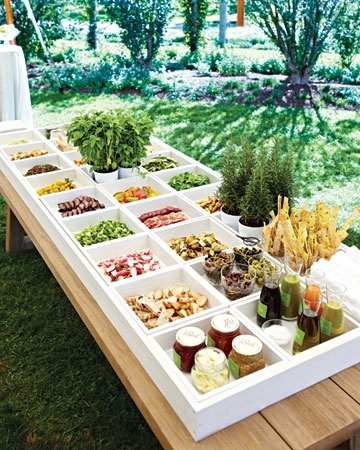 Kick your backyard BBQ up a notch with a lovely burger bar. 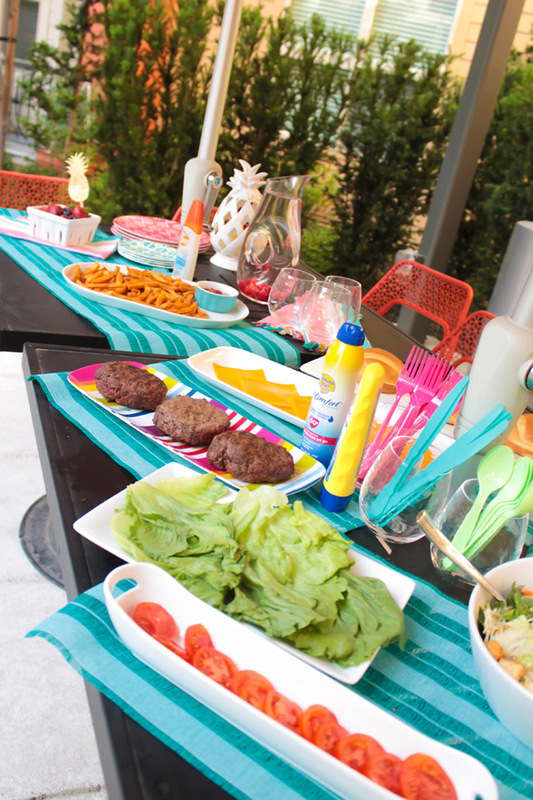 We will show you all of the different elements for a lovely burger bar and the summer essentials you need to really make your backyard entertaining fabulous! 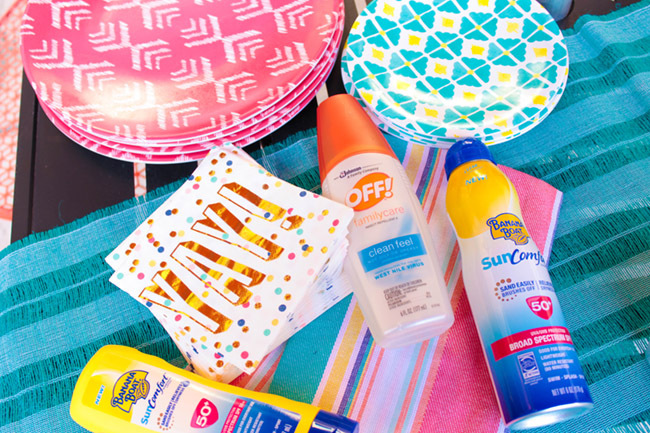 One of the first things you need for fun in the sun in sunscreen! We are loving the new Banana Boat® 50+ SPF SunComfort sunscreen. The lotion and spray go on so easily and it moisturizes too, relieving dryness so you can keep your soft baby skin all summer long while protecting your skin from the UV rays. With broad spectrum UVA and UVB protection, you know you are going to stay safe from the sun. It also allows for sand to easily brush so if you are headed to the beach, this sunscreen is a must! Sunburns are the worst, so this is always the first thing that we apply whenever we are enjoying some fun in the sun. Keep it near your burger bar to provide protect to everyone that shows up! You know what also is the worst? Mosquitoes! 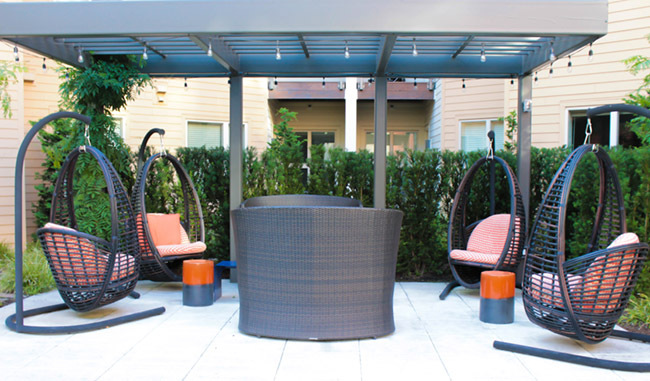 Insect repellent is our second summer essential that we always include when we are hanging out in the backyard so we can protect against mosquitoes. OFF!® has insect repellent that contains Picaidin instead of DEET in their new FamilyCare Insect Repellent Clean Feel to give you protection without the greasy feel. Coverage lasts up to 4 hours to keep you repelling those buggers while you are enjoying your time in the sun. 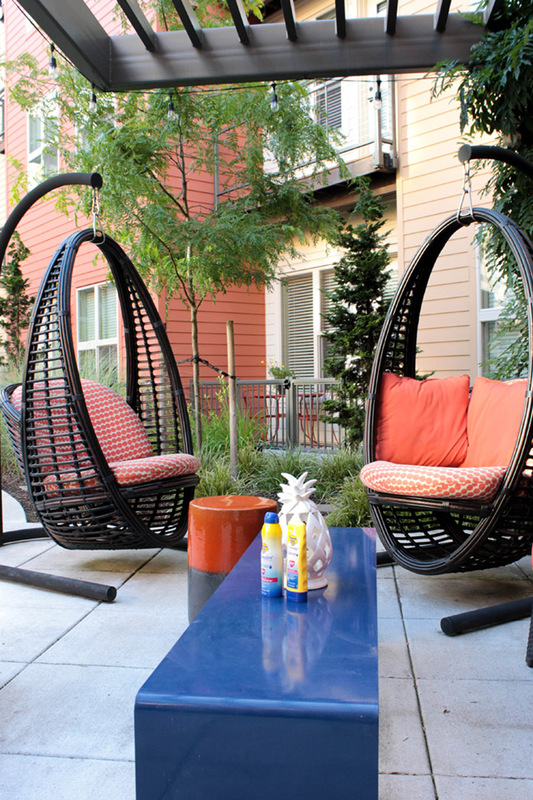 With both of these, you can get total sun care and bug protection for your summer. Pick them up at Walmart to start your summer festivities off right. Third summer essential? Bright colors! 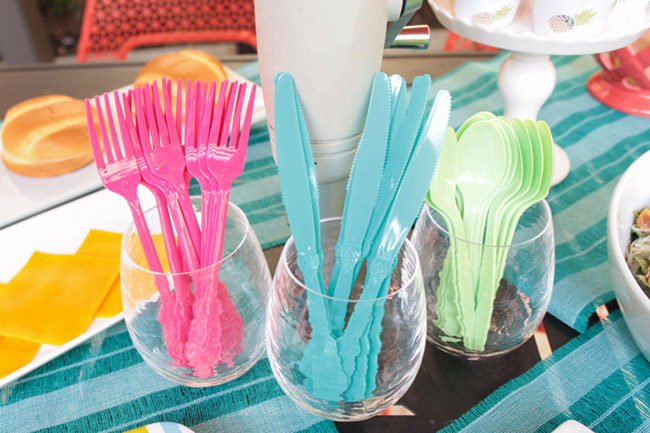 Use yellows, teals, ruby reds, oranges, pinks, and blues together to make a vibrant and fun color palette for your backyard entertaining. Of course confetti Yay! 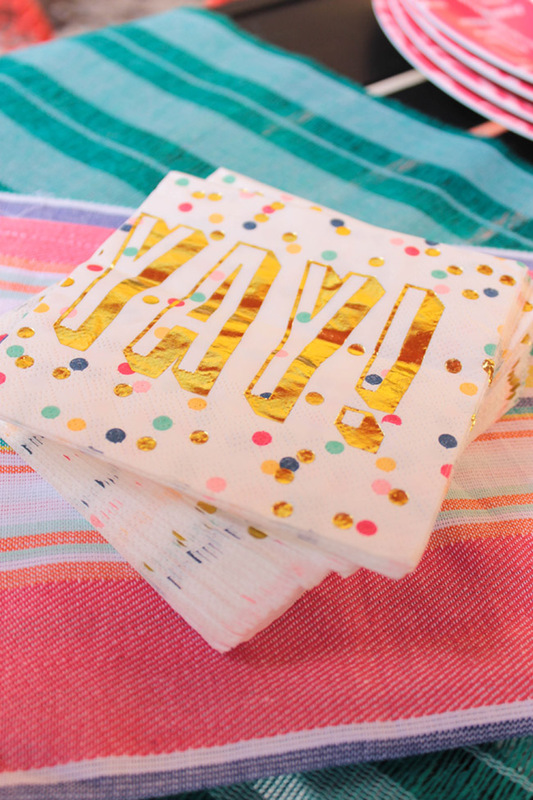 napkins are pretty awesome to include too and really set the tone for celebrating! 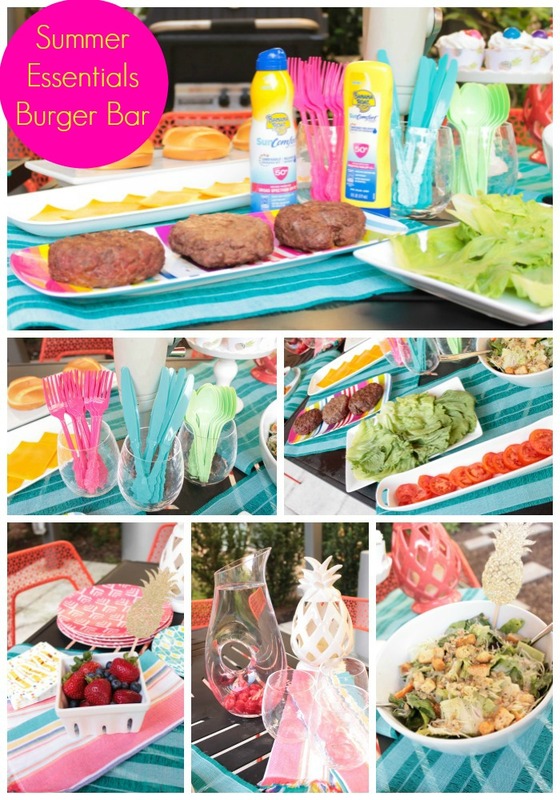 Now let’s get to the burger bar eye candy and all of our favorite elements that make up the perfect burger bar. 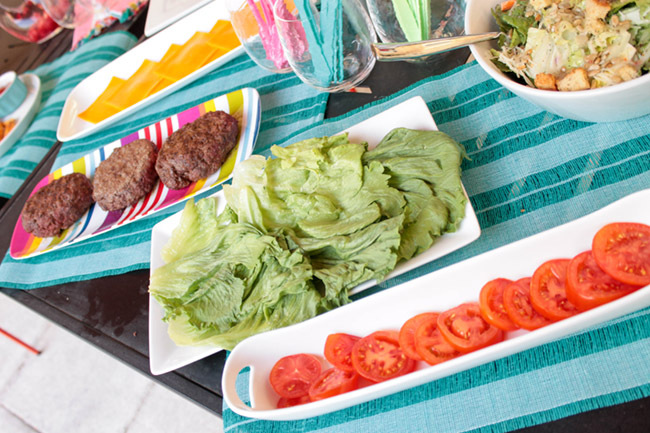 There you have it, the perfect burger bar for summer entertaining! 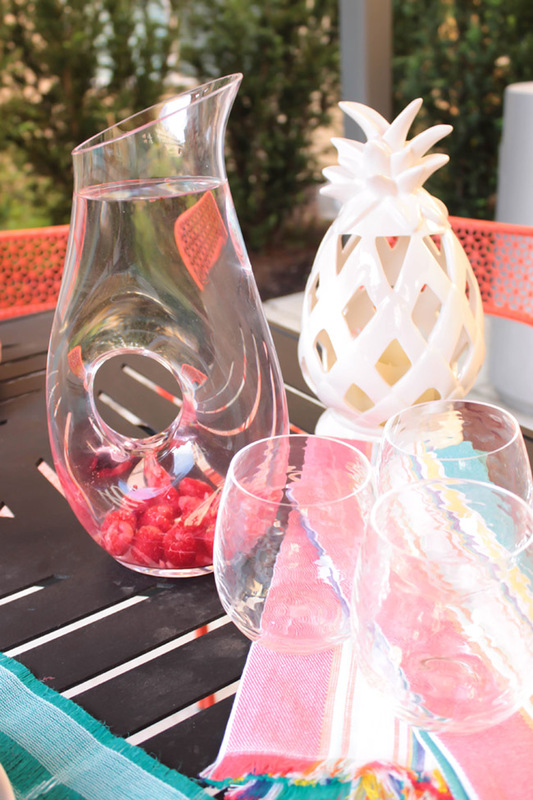 What are your favorite things to do during summer? We would love to hear them! 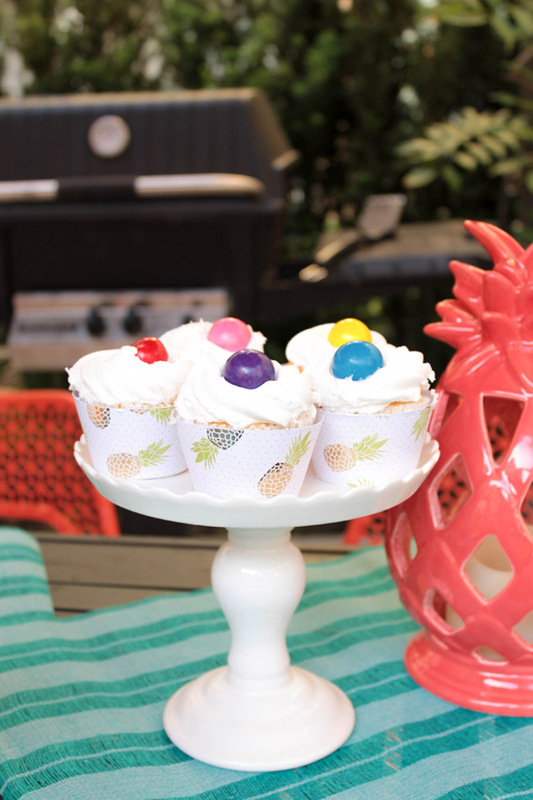 Gourmet Burger Bar Hot Dog and Burger Bars Celebrate Summer With PAMA! 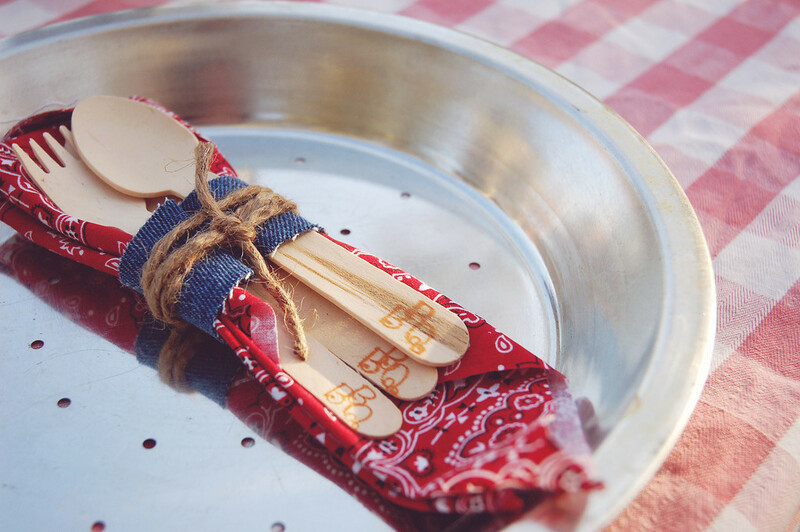 Creative Napkins for a Lovely BBQ!